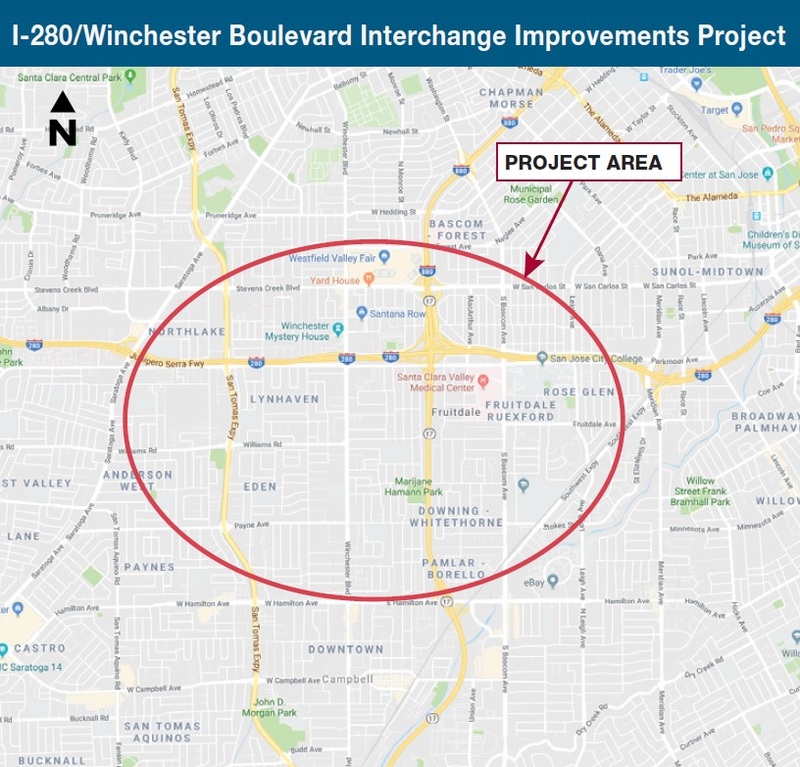 Santa Clara Valley Transportation Authority (VTA), in cooperation with the City of San Jose and California Department of Transportation (Caltrans), proposes to construct improvements in the vicinity of the Interstate 280 (I-280) /Winchester Boulevard Interchange. Improve traffic operations and reduce congestion on the local roadways in the project area. Provide new access from northbound I-280 to the project area. Improve bicycle and pedestrian access and transit connectivity in the project area. Project cost is to be determined and will depend on included improvements which are yet to be defined. The project is partially funded. * Funding for these phases of the project has not yet been identified.